So I’ve had this tool around for a while, but never found much usage out of it to be honest. I didn’t end up writing a review as I had other tools that did text replacements, and history/session saving. 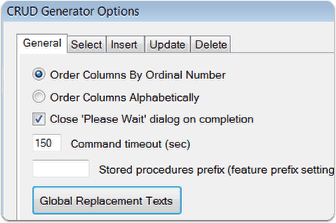 I’ve always considered this tools implementation of SQL History/Tabs saver the best period, even over Red Gate Tab History, SSMSBoost, etc. However, recommending the tool solely based on it’s fantastic history saver wasn’t really something I was going to do.However, having to generate some CRUD procs lately I found a new reason to appreciate this tool. I dusted it off, updated to the latest, and looked for the CRUD option I remember it having. Sure enough I ended up saving myself a lot of time and generated procs that were all standard with what I wanted to create. This gets my hearty approval to avoid tedious grunt work on creating procs. Since the tool throws in a great history/session saver to avoid losing work, it’s even more of a recommended tool! 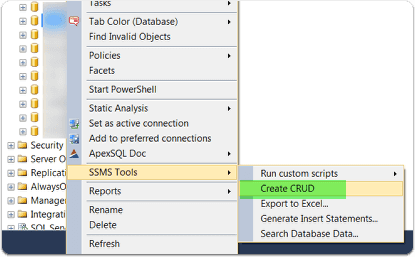 SSMS Tools Pack First, I know there are some great stored procs/scripts that people have written to do this. 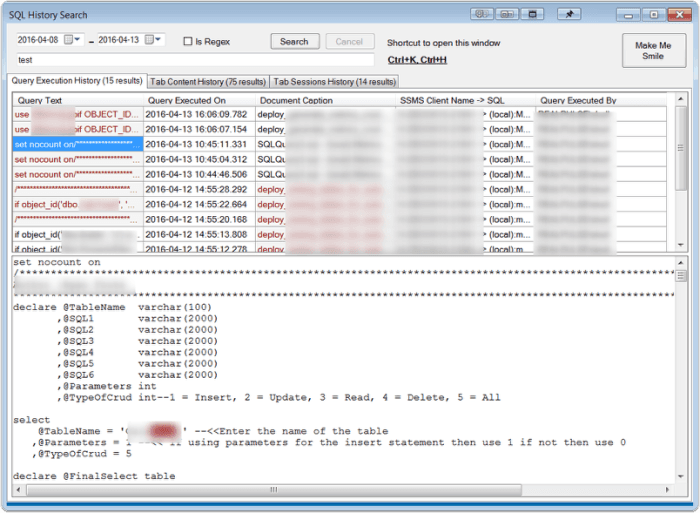 I appreciated those, but found I was going to spend a lot of time trying to customize to get the error handling and other scripted pieces in, so I revisted SMSS Tool Pack. This has some potential to be very helpful! You could generate the user, date and time, and more to generate some comment headers and more. I prefer a begin try and error catch output syntax. 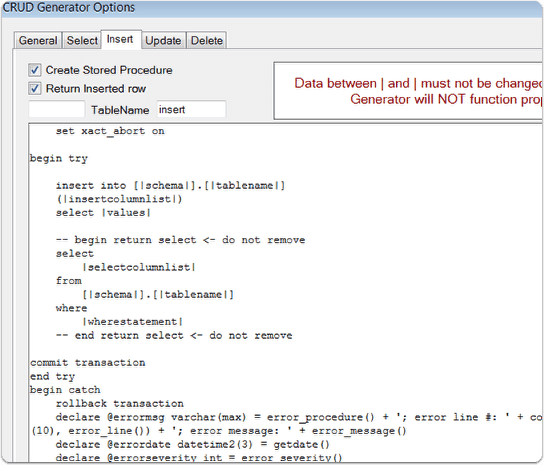 I was able to encapsulate the CRUD generator statements with the syntax I preferred, and no longer had to manually manipulate each file to get it where i wanted it. This was a lot of time saved! 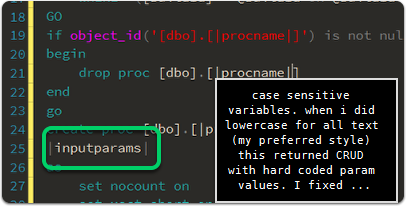 Make sure to keep the case correct on the variables. This is case sensitive. Once you’ve clicked the generate CRUD the magic happens. 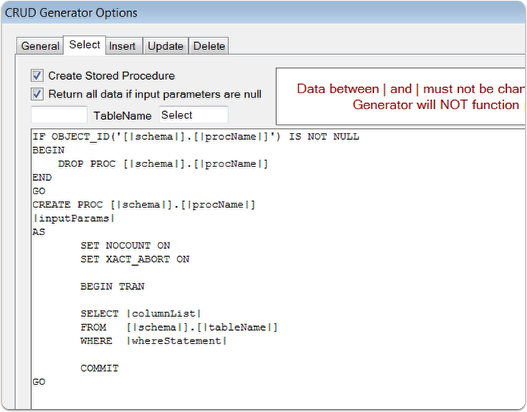 The results were a large list of prebuilt stored procedures for doing all the CRUD operations needed, with no extra work required. Win! 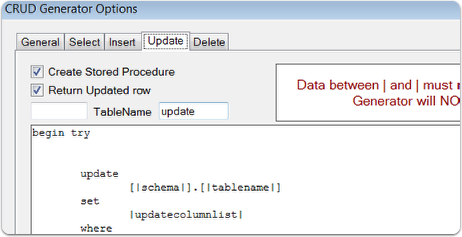 Some recent updates were released with version 4 that might be beneficial for your workflow such as support for SSMS 2016, renaming of tabs, better insert generator, and some other things. Check out the website for more details. its not CRUD…. it’s quite nice! While it doesn’t really do full formatting or other things, the organized query execution, CRUD generator, and some other features make it a nice tool if you have the budget to purchase. 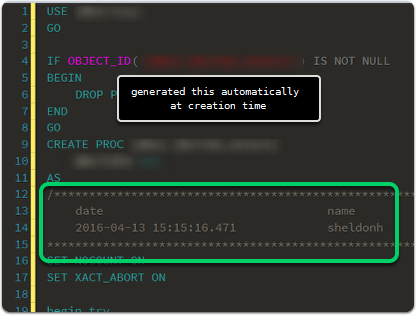 It’s a especially a good tool for those who want to generate CRUD procs easily.